I wasn't really sure about these because of the mixed reviews. I made them once using an all purpose GF baking mix and they were ok. But I could tell they had potential. So I made them again with the baking mix it specifies in the recipe (see notes)- with coconut flour, arrowroot, etc and that made all the difference!! They were absolutely amazing! 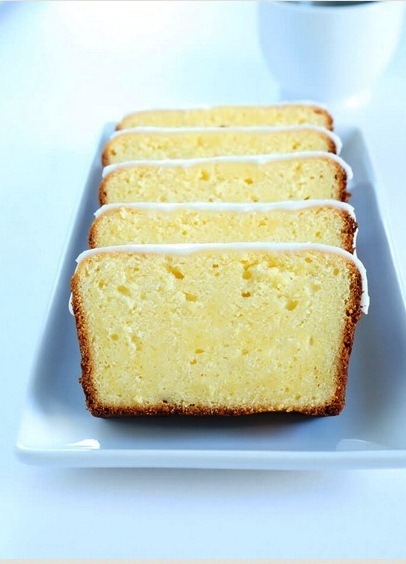 Bake the pound cake. Place the loaf pan in the center of the preheated oven and bake until a tester inserted in the center of the pound cake comes out clean (about 50 minutes). If the loaf begins to brown too much, cover it tightly with a piece of aluminum foil. Remove the pound cake from the oven and allow it to cool in the pan for 15 minutes before transferring it to a wire rack to cool completely. Make the glaze & assemble the cake. Once the pound cake is nearly cool, make the glaze. In a small bowl, place the confectioner’s sugar, salt, and the remaining lemon zest, and whisk to combine and to break up any lumps in the confectioner’s sugar or the lemon zest. Add the lemon juice, 1 teaspoon at a time, and mix well. Continue to add lemon juice by the teaspoon, stirring in between additions, until the glaze is thickly pourable. Pour the glaze over the cooled pound cake, and allow to set at room temperature. Slice and serve. Recipe originally published in March 2013. Adapted from the Pound Cake recipe on page 186 of my first cookbook, Gluten-Free on a Shoestring.